You can show your love in some affordable ways without breaking the bank. Not every Valentine’s Day requires a fancy dinner and flashy jewelry. 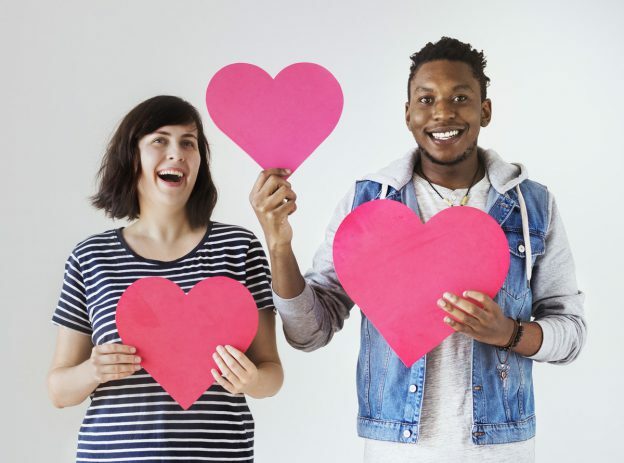 We compiled a list of five budget friendly ways to spend Valentine’s Day 2019. This Valentine’s Day, try giving instead of receiving. Rather than gifting each other things you don’t need, opt to give back to your community together. Do some volunteer work together at a local soup kitchen or library. This way, you get to spend the quality time you need with each other, while also contributing to something much larger than yourselves. You’ll also be amazed at how sharing an act of kindness can bring you together, and rekindle your relationship. Put together a picnic basket with some sandwiches, your favorite wine, and a blanket, and set it out on your living room floor. This is an affordable alternative to dinner – and far more personal. Put on a movie, turn off your phones, or just pretend like you’re going on your first date all over again. Buy some string lights or fairy lights, turn on the fireplace, and give your home some extra added romantic ambiance. With the digital age comes the digital letter – emails, texts, comments on statuses. These things can lead to an impersonal world. Place your true feelings on paper with your own writing. You are not only offering a piece of you with your handwriting, but also with some genuine feelings. This letter does not need to be shared online and is for your valentine’s eyes only. Make it a dual activity by sitting down to write your letters together, and then exchanging them (or reading them to each other) at the end. Tip:Give this activity an even more creative flair by getting together to make cards for each other, and writing your love letters in there. Sure you can order some flowers online or grab a bunch while in the store, but make some roses instead. With some skewers and some strawberries, you can handcraft your own bouquet of roses. Add some whipped cream or dipping chocolate to add some variety to your bouquet of roses. This is a delicious dessert and a thoughtful gesture of love. You can even make it an activity by turning it into a fondue night. Nobody can resist a partner that’s smooth on their feet. Take a class together and learn some moves. Bonus points if you takeclasses before taking your significant other and can show off your moves. Tango, Salsa, and Bachata are great romantic dances that will bring you together. Local classes can take two hours, so this is also a workout. Get up and get to learning something new together. While not free, this is still much more affordable than a night out on the town. This Valentine’s Day does not have to break the bank. Showing your love can go a long way if you put more thought in to it. What does your significant other truly like? Find the answer to this and you will have the key to a great valentine’s Day. Let’s put the love back in to Valentine’s Day and focus on the expression of love and not the price tag.